Dwell by Cheryl: The New Dwell by Cheryl! The New Dwell by Cheryl! 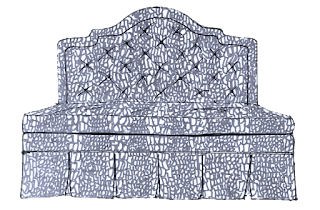 "Restore Guest Post: ReStore Restoration"
Well today is the day! 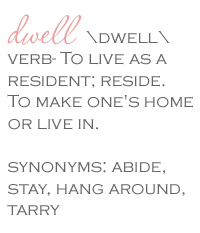 Nope, not New Year's Day but New Dwell by Cheryl Website Day! 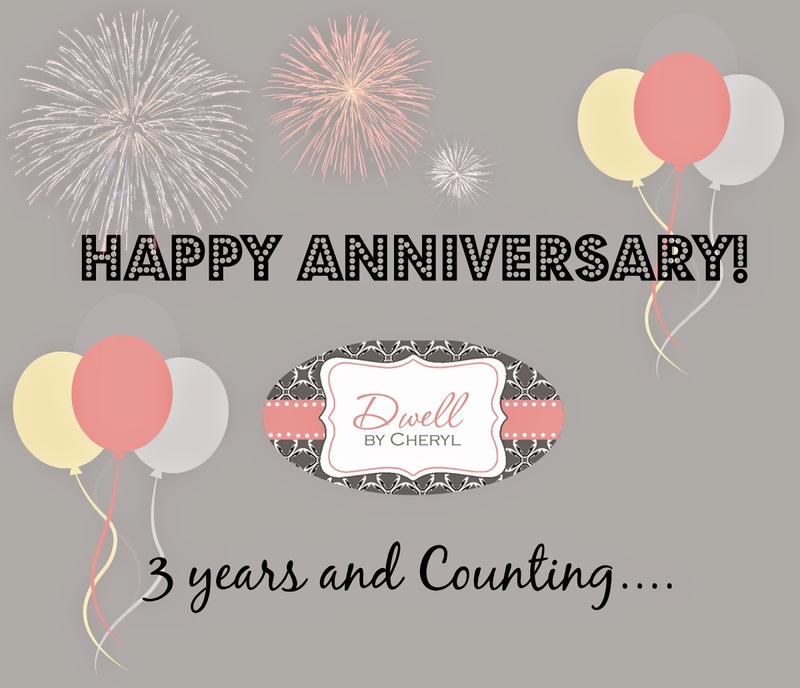 Three years ago today, I set out to start a blog and begin to offer residential decorating services to a few people in my circle in an effort to get my feet wet in the area of interior design. You can read my very first post HERE. Things quickly accelerated into a full fledged business and haven't slowed down a bit. I've learned so much in the past three years that it's hard to even quantify. I still look back with a very critical eye at my early projects and shake my head at all the things I should've done. I suppose that's normal since each project brings with it more knowledge and experience. I think it's also just what perfectionists do. You can imagine that I've been working hard on the launch of the new site getting things just perfect. I wanted a place to really showcase my work, and I think this site has really accomplished that goal. Special thanks to The Brand Effect. They've been a pleasure to work with and have delivered beyond my expectations, which is difficult to do. I recently received a comment from a follower on Instagram that read..
"You always hastag '#budget decorating', but your results look like a million bucks!" I thought about that comment for quite some time and it dawned on me that this statement pretty much summed up my entire mission; "Creating beautiful dwellings on real world budgets". It provided the confirmation that I'm doing exactly what I set out to do. I felt really good about that. Over the past three years it's become more and more clear to me that this is my gift and more importantly my mission. It's easy to take for granted or even overlook the role that your home plays in your overall well-being. I see this live and in living color at each and every reveal. It's expressed in the deep sign my clients take when they realize that the space we've created is really theirs and just feels good. I'm on a mission to take that feeling to as many homes as possible, creating spaces to relax, retreat, grow, be nurtured and....dwell. Your new site looks fabulous! I especially like the large 'blog' image on your home page. That comment really says it all - your site as well as your work looks like a million bucks! Congratulations. It would be a toss up between the den and my bedroom. Love the jute rugs. Hey, Miss Cheryl! That was my comment and I meant it. Funny how a stranger on Instagram can reflect back to you the reality of what you're trying to achieve. God's richest blessings on you and this endeavor. Thanks you all so much and Brenda, thanks for that comment.